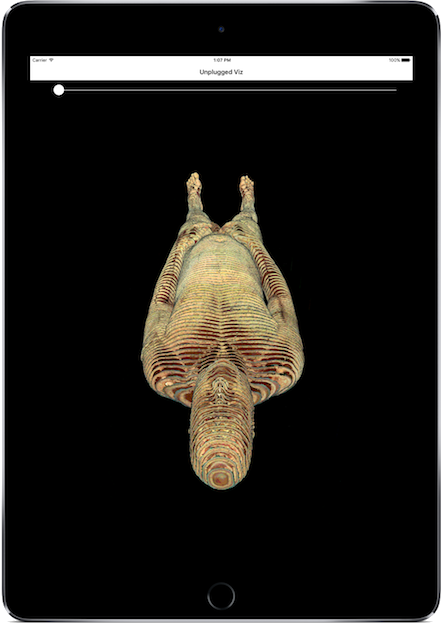 High-performance scientific visualization isn't just for the desktop anymore! 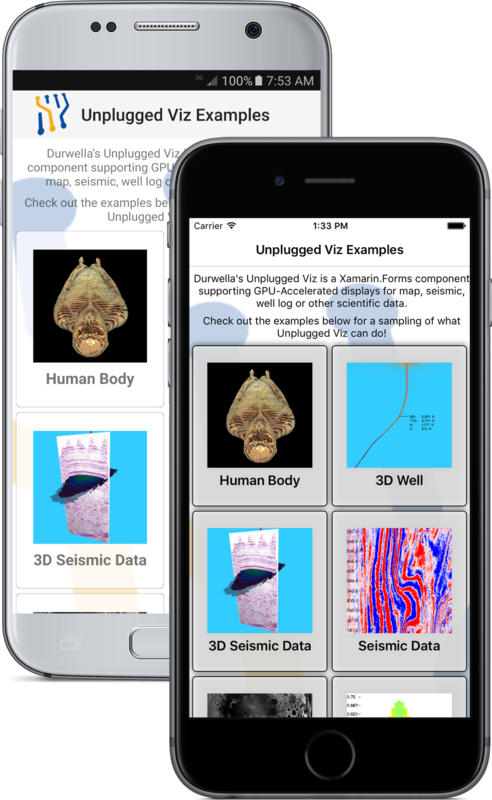 Unplugged Viz is a Xamarin.Forms component supporting GPU-Accelerated displays for map, seismic, well log or other scientific data in two or three dimensions! Spend your time developing features rather than low-level rendering code. Give your users the opportunity to access their data from the convenience of an iOS or Android device. Full support for all display types on both iOS and Android. Packaged as an easy-to-use Xamarin.Forms component. Plot 1D function/log data as an area or bar chart, disply 2D scientific images, or visualize arbitrary 3D data. Takes advantage of the GPU for faster color map modification, lower memory footprint, and more correct color mapping than the standard image controls. Views scroll, zoom, rotate, and “bounce” as mobile and tablet users expect. Define custom OpenGL shaders for your 3D models; use custom lighting, transparency, color mapping, and other features. 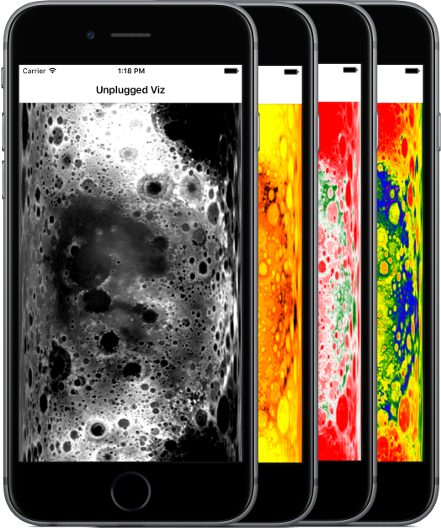 Taking advantage of the device's GPU allows Unplugged Viz to provide a smooth, interactive display of rich, detailed scientific data with a lower memory footprint than the standard image controls. Take advantage of the stunning display and high resolution of modern iOS and Android devices without sacrificing performance or flexibility. With Unplugged Viz, you're in complete control. Adjust the data, axes, and color map on the fly, either directly or via BindablePropertys. The user can interact with the view by tapping and dragging in exactly the way they expect. For 3D data, you have complete programmatic control of the view, camera, and models, allowing complex animations in addition to user control. 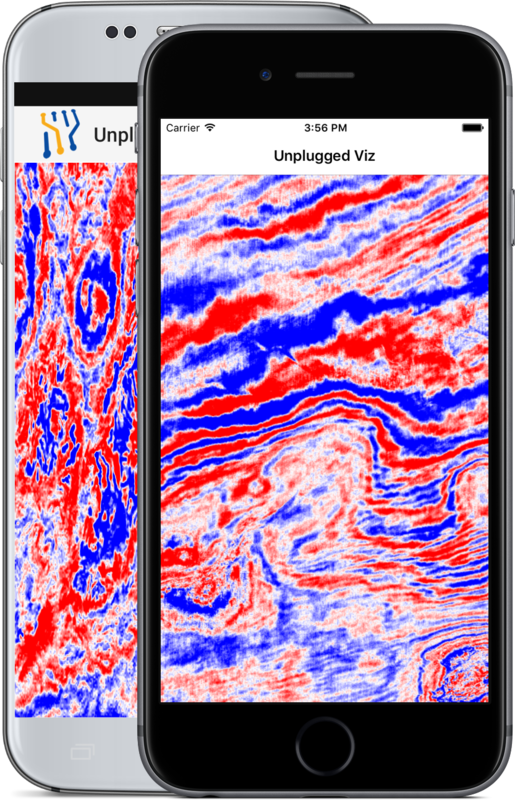 Download the Unplugged Viz Example App for iOS and Android to see examples of the functionality Unplugged Viz offers. The full source code of the Example App is available on GitHub. Durwella is a software solutions company that focuses on scientific and engineering projects. We are currently working on projects related to radar systems, seismic processing, FPGA, GIS, pattern recognition, and distributed computing. Our unique specialties include data visualization, pattern recognition, computer vision, augmented reality, topology, and signal processing. Interested in working with us? Check out our website or email us at info@durwella.com.